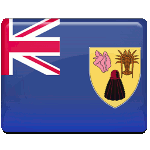 National Heritage Day is a public holiday in the Turks and Caicos Islands celebrated on the second Monday in October. It was established in 2014 to replace Columbus Day. The Turks and Caicos Islands (TCI) are a British overseas territory located in the Caribbean. Geographically, the archipelago is part of the Americas. That is why the islanders used to celebrate Columbus Day, the anniversary of Christopher Columbus' first arrival to the Americas in 1492. Just like in the United States, the celebration in the TCI was held on the second Monday in October. However, in 2014 the government of the TCI decided to replace Columbus Day with National Heritage Day. This holiday honors the historical, cultural, and natural heritage of the islands as well as the achievements of past generations. The islanders are especially proud of their musical heritage. The TCI are known for their ripsaw music. The most distinctive feature of this musical genre is the use of the carpenter saw as the primary instrument. The saw is scraped with a metal object to produce a unique sound. It is accompanied by drums, triangles, maracas, box guitar, concertina, accordion, and other instruments. Ripsaw music is an integral part of National Heritage Day celebrations.